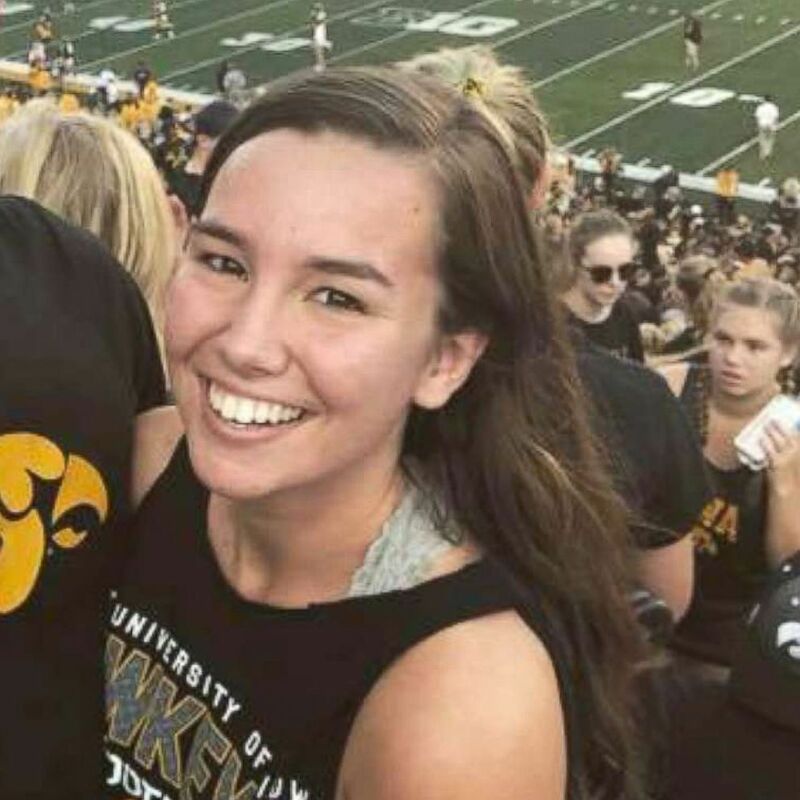 The father of missing University of Iowa student Mollie Tibbetts said on Monday that he believes his daughter may be with someone who misunderstood her intentions and created a situation that's spiraling out of control. Add Mollie Tibbetts as an interest to stay up to date on the latest Mollie Tibbetts news, video, and analysis from ABC News. "It's totally speculation," Rob Tibbetts told ABC News, "but I do believe that Mollie is with someone who she knows, probably someone who cares about her. But that relationship was misguided, misinterpreted and went wrong, and I think they're in a place with Mollie and don't know how to get themselves out of this horrible situation." Rob Tibbetts said that as the search for Mollie continues, it's also important to give that individual "the freedom and the space to process this, and to get themselves out of this amount of trouble before they get into a deeper amount of trouble." 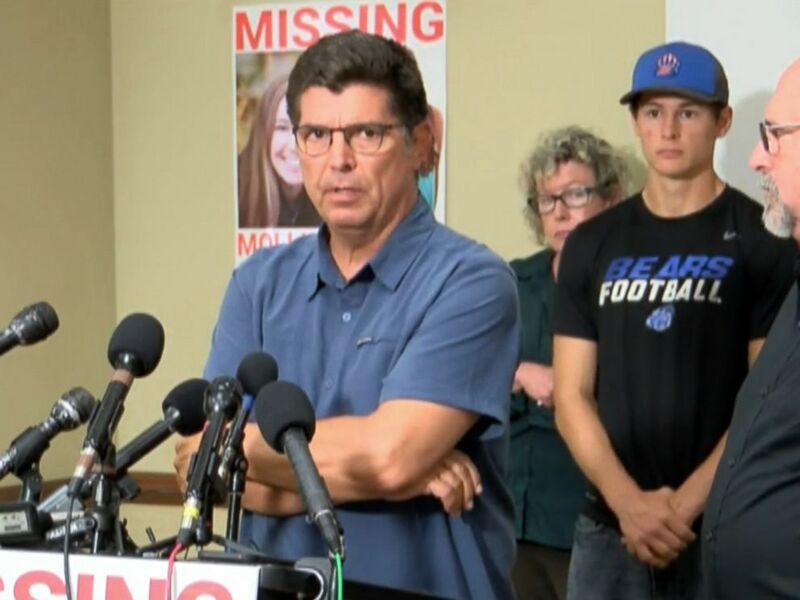 Rob Tibbetts, the father of missing student Mollie Tibbetts, 20, speaks at a press conference in Brooklyn, Iowa, Aug. 2, 2018. His daughter's kindness, compassion and outgoing personality may have simply given someone the wrong idea, he continued. "I do really believe that what happened to Mollie wasn't that someone set out to harm her," Rob Tibbetts said. "I think because they haven't found Mollie, that Mollie is still some place, and we can get her home." Dalton Jack and Mollie Tibbetts are pictured in a photo posted to Facebook, July 20, 2018. The 20-year-old Tibbetts went missing July 18. Hundreds of thousands of dollars have been donated to establish a reward fund to help bring her home. Since Thursday, Rob Tibbetts said, almost 500 new leads and tips have surfaced, thanks to local authorities and to Crimestoppers. Mollie Tibbetts, a rising sophomore, was living in Brooklyn, Iowa, with her boyfriend, Dalton Jack, when she went for a jog and hasn't been seen since. Her story, according to her father, has "struck a chord" with so many because "everyone has a daughter or a sister or a girlfriend like Mollie." And her disappearance "is so random and senseless and scary that people have adopted Mollie and her story." When asked what he would say to anyone who may have taken her, Rob Tibbetts responded: "You've made a mistake. We've all made mistakes. Don't compound this. Work your way through this. Listen to Mollie."